"We’ve been great at producing case studies, and wanted to add more collaboration and customer benefits. 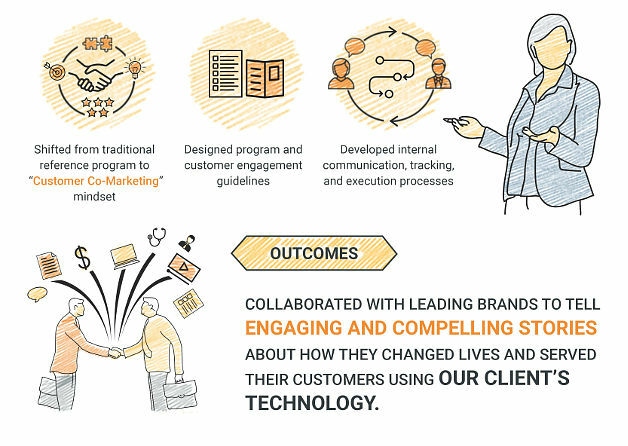 The program the Shirman Group designed uses VMware’s marketing engine to tell compelling stories of our customers’ leadership and innovation. Customer co-marketing puts customers front and center – exactly where they should be"
 Philip Say, Cloud Solutions Marketing , VMware Corp.
We designed and piloted a new program for Customer Co-marketing for VMware, the $7B cloud and infrastructure industry leader. The new approach is more collaborative and provides real value for VMware customers.